The continuous development of product lifecycle management (PLM) technology depicts many needs for clarification and action especially in PLM understanding and PLM implementation. The adaptation and customizing of PLM technologies become unavoidable and implicate high expenditure in form of costs, time and effort which is often underestimated by organizations. Despite of the importance of PLM adaptation and PLM customizing and its influence on the success of a PLM implementation project, there is no clear basis for an understanding of what PLM adaptation and customizing really is. Furthermore a lack of solution approaches exists that can guide companies during the process of PLM adaptation and customizing. 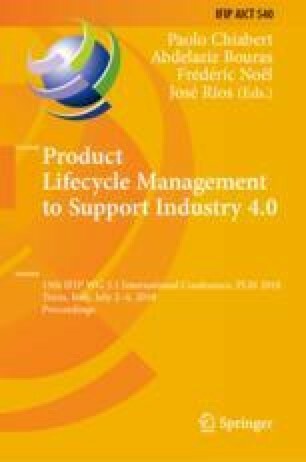 The aim of this paper is to build a foundation for understanding PLM and the customizing of PLM. Furthermore a solution area beyond the software driven focus will be suggested. The results, opinions and conclusions expressed in this thesis are not necessarily those of Volkswagen Aktiengesellschaft.